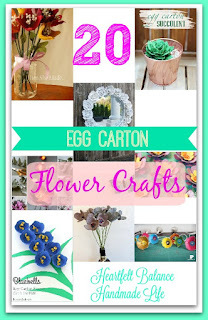 I was looking for new egg carton crafts since I have so many egg cartons. We used to keep the egg cartons for our neighbor down the street who has chickens. But, even she doesn't need as many egg cartons as we have. We go through some eggs, man! Holy Shmoly we eat a lot of eggs. 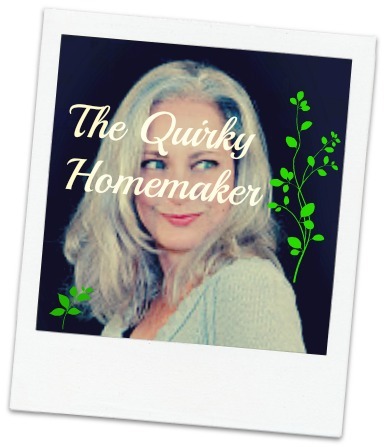 Although this was going to start out as a kids craft post, it has morphed into more of an adult craft post. 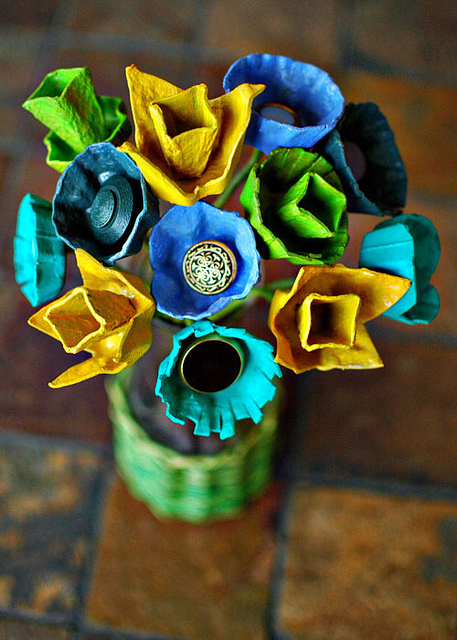 Some of these crafts could probably be done by kids though. 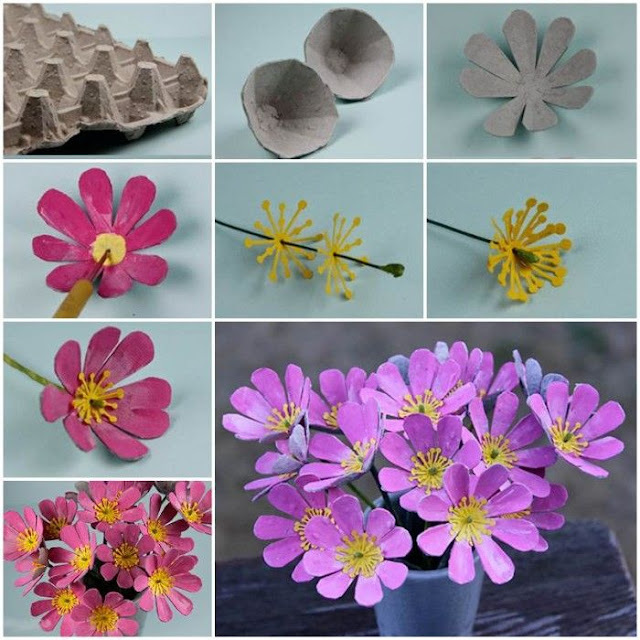 Let's take a look at all of the pretty flowers people have made from egg cartons! I love all of the different, colorful, bright blooms! 1. 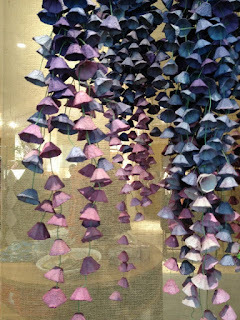 I thought this first one was actually for the purple hanging flowers, but it's not. 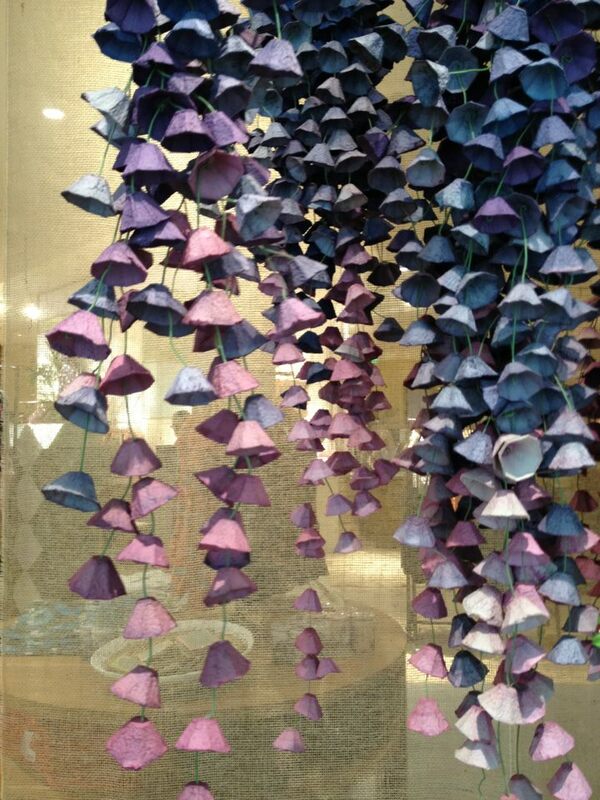 She just drew her inspiration from the purple hanging flowers. 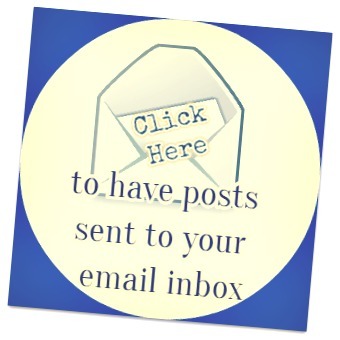 This post is from 2012. Alas, my plans to try to find "new" egg carton crafts has fallen short. But, the flowers are so pretty I MUST include them! The first image is her inspiration and the second image is her own creation. 2. 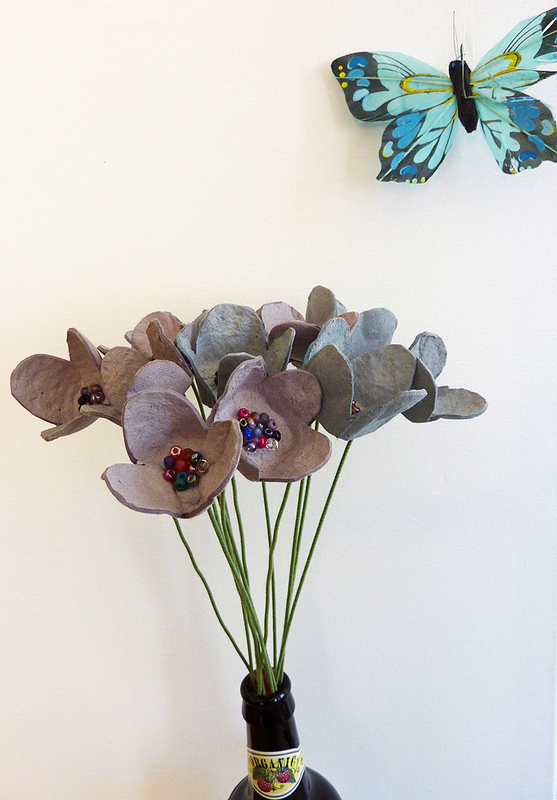 What is it with the purple flowers that just catch my eye? 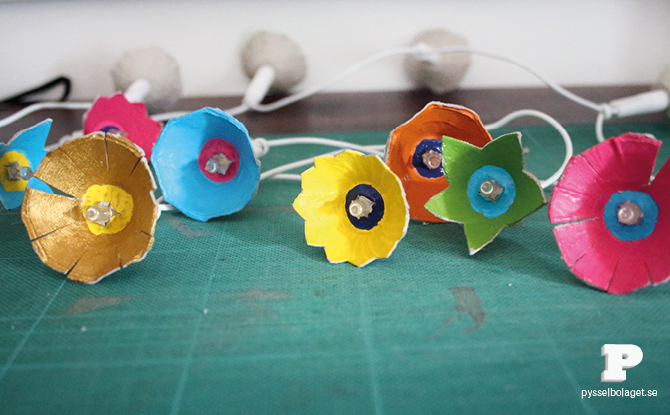 These next flowers are really cute. I love the purple and yellow together. 3. I guess I should just have Crafts by Amanda on the top of my favorites list, because I seem to be sharing a lot of her stuff lately. 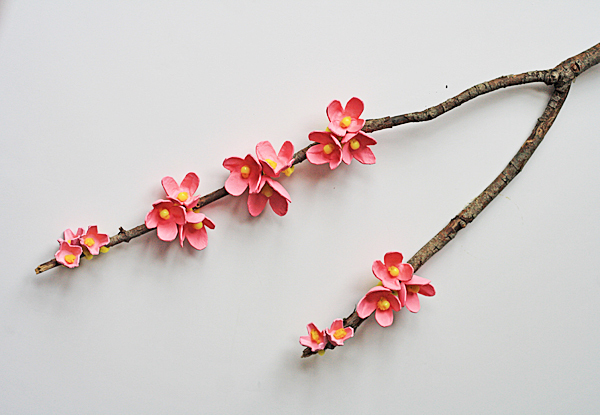 I love this little Cherry Blossom craft. 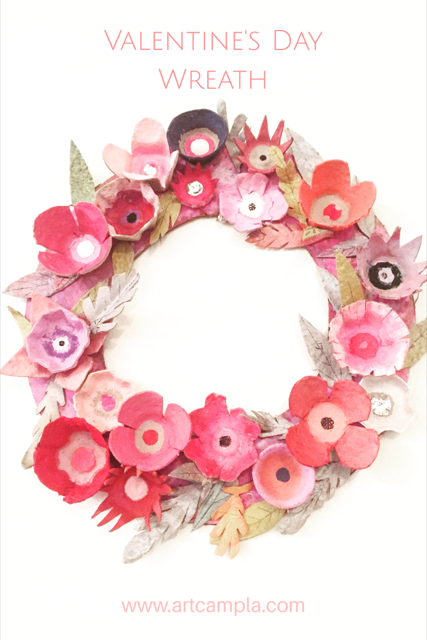 It's past Cherry Blossom time here, but the craft is still super cute. 4. These next flowers are actually from coupons.com "The Good Stuff" Didn't even know they had "stuff." I love this one because : buttons. I love buttons. They're just so stinkin' cute. 5. I like this next one because it's pink, which is kind of one of my favorite colors. I can't really use pink anywhere because I'm not the only one who lives in this house. We could make it for my daughter's room, though. She. Would. Love. It! I also like it because : Boho. There ya' go! 6. This next one, is again, purple. They are just so pretty with the lights and the lights make me say whaaaaaaaaaaat??? I actually think I'd be kind of nervous in case the lights get hot. But I guess most Christmas trees don't burn down, right? At any rate, they are super cute and I love the idea. 7. 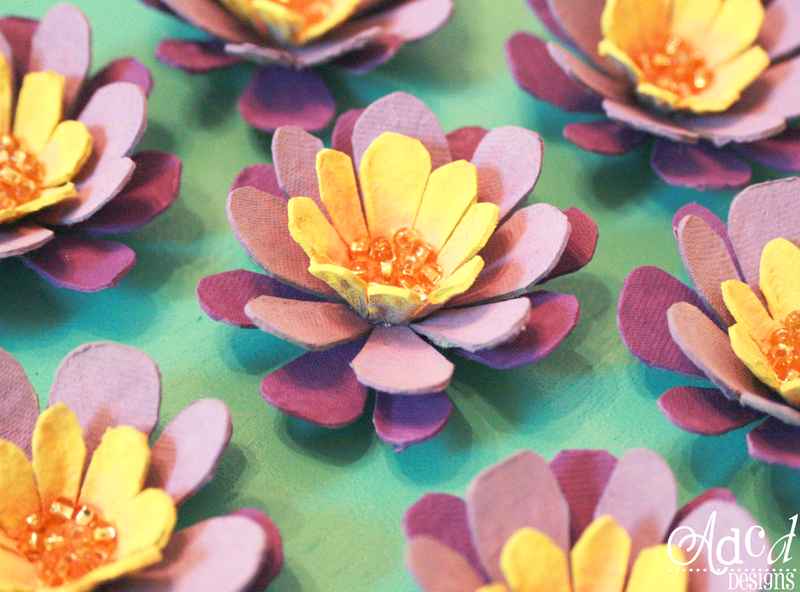 These Butterfly Flowers are cute, but the inside requires a special punch. 8. Here's a tutorial on how to make egg carton roses. 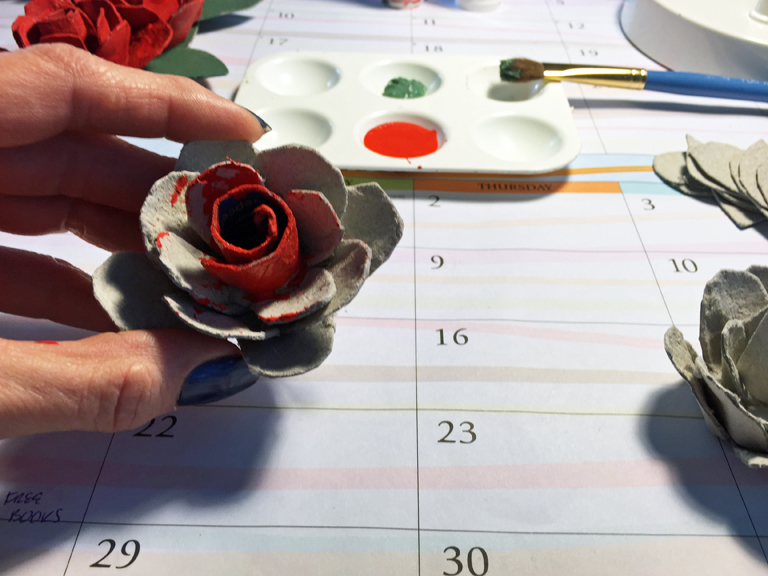 I've seen several pretty egg carton roses on Pinterest, but they lead to nowhere. They're just images. So, I finally found a tutorial for them! 9. Well, we've already seen the egg carton rose tutorial. 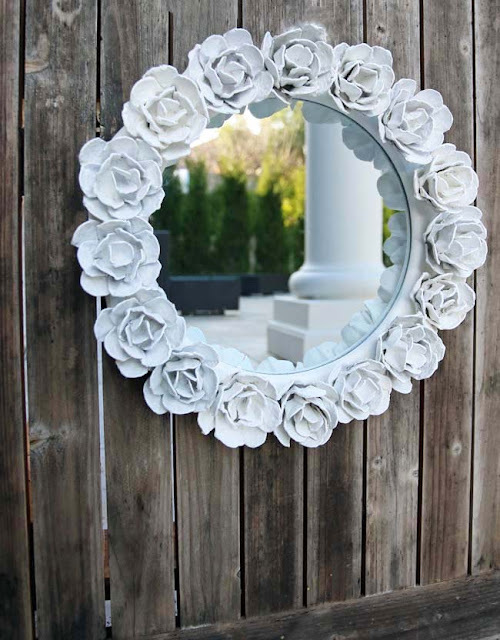 I love the idea of using them as a frame for a mirror or a wreath. So pretty. 10. 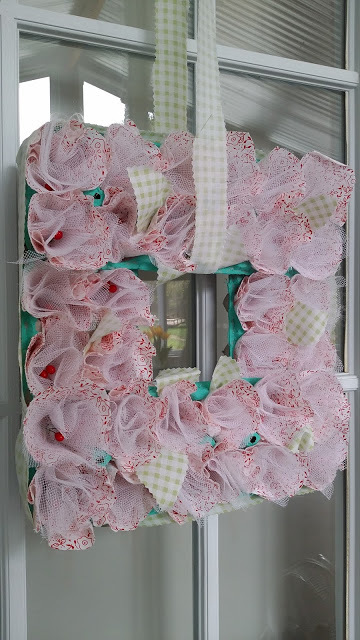 This next one was called a "Valentine's Wreath", but I think it's pretty for any time. I love the variation in the coloring of the flowers. 11. 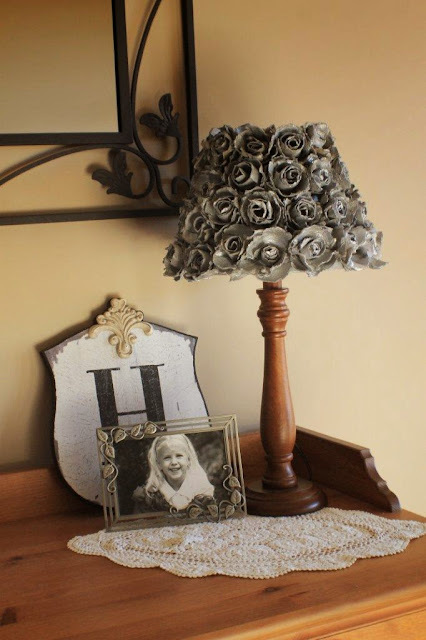 Using the egg carton roses once again, Anita created a DIY Egg Carton Rose Lampshade. So cute! 13. 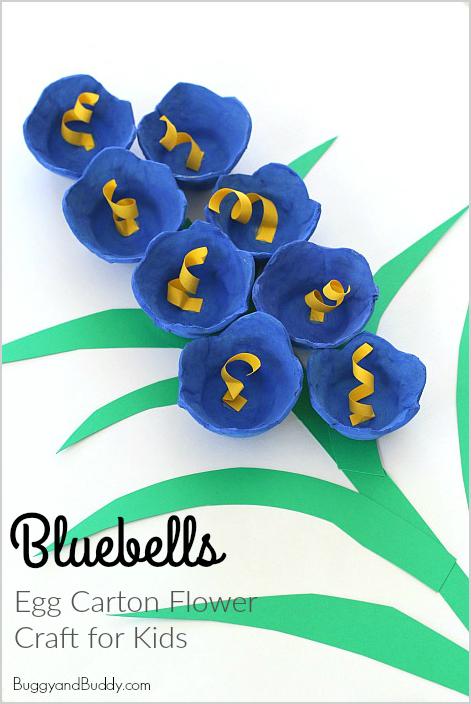 How about some egg carton daffodils? So pretty! 14. 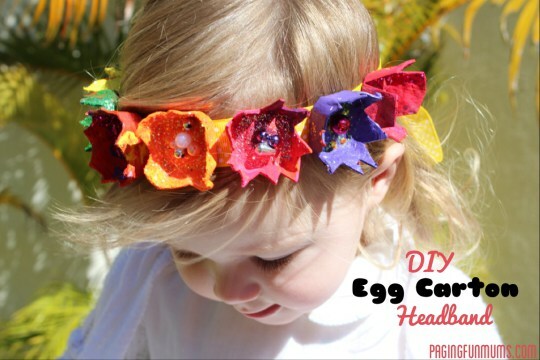 This next egg carton flower craft would be something you could do with kids, but it looks like some parts are definitely meant for adults. How precious is it? 15. This next one is older and it's pretty basic, but I love that they finger painted it. 16. 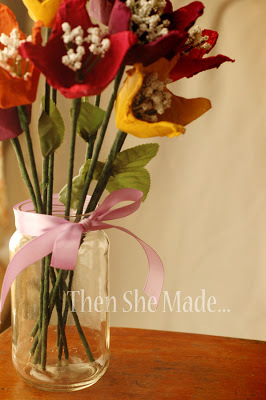 I love these next flowers because she used baby's breath in the middle. Very cute. 17. 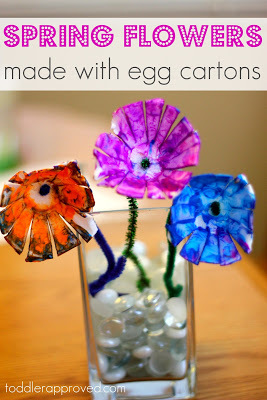 I love the colors of these next egg carton flowers and love the fact that they used decorative buttons in some of the centers. 18. 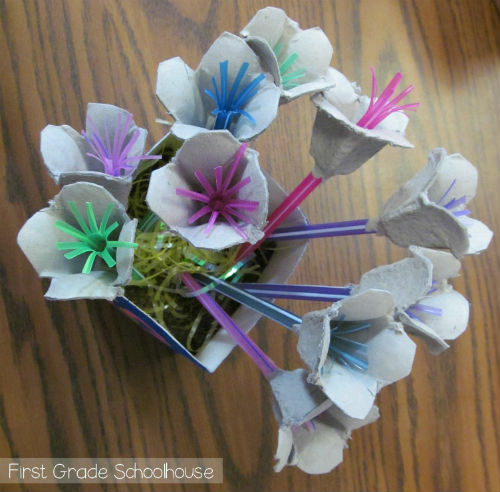 How cute are the straw centers on these flowers? This one would make a cute kid's craft. Love the little fringe-y middle from the straw. 19. 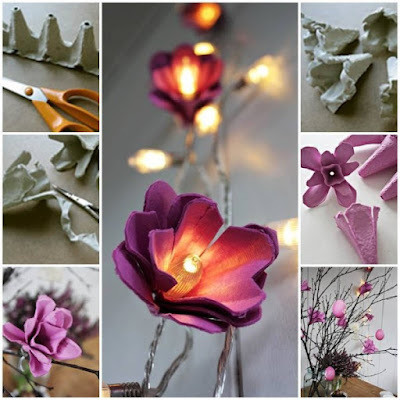 Here is another example of egg carton flower lights. I love the colors they chose for the lights. So fun and colorful! 20. The last one is an egg carton succulent. 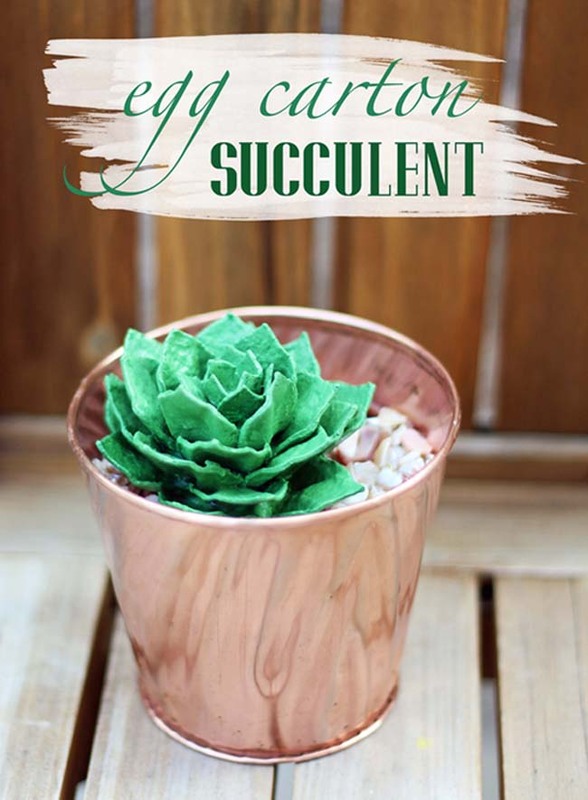 Maybe I should make some egg carton succulents for my back porch deco? 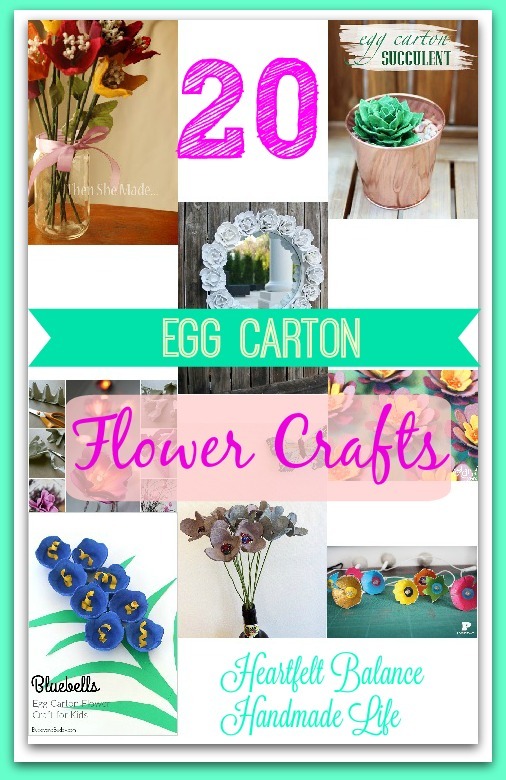 Which was your favorite Egg Carton flower project?